Most of the time, when B2B leads are in the market for purchasing products or acquiring services for their company, they would search for it on Google and end up visiting several websites in the process. If those prospects end up on your website, how confident are you that you have enough content, visual presentation, strategic lead capturing elements and site speed to keep them from moving on to the next? Your website’s overall impact should encourage lead engagement so visitors won’t end up in the trash bin. But how exactly does one make a business website more engaging? According to Howard Yeh, co-founder of ContactUs.com, a software-as-a-service platform providing advanced contact forms, live chat, lead capture and lead management solutions for businesses, you need to “get a potential customer excited about starting a sales dialogue with you”, and then “translate that excitement into action”. Take the first step in translating customer interest on your website into action. Don’t force your visitors to initiate contact. If you were operating a retail store, you’d surely be training your sales staff to make the first engagement with the shoppers walking in the door. On your website this mindset still applies. Some websites don’t have effective paths for dialogue. By default, it’s often the “Contact Us” page. If you have generic action prompts, you’ll receive generic inquiries. And more importantly, you may miss out on customer prospects who would have engaged with you if there were an easier way to do so. You might want to consider adding more navigation links to your “Contact Us” page. If the only inbound leads you are getting from your website are from the “Contact Us” page, you might want to consider offering more contact paths. 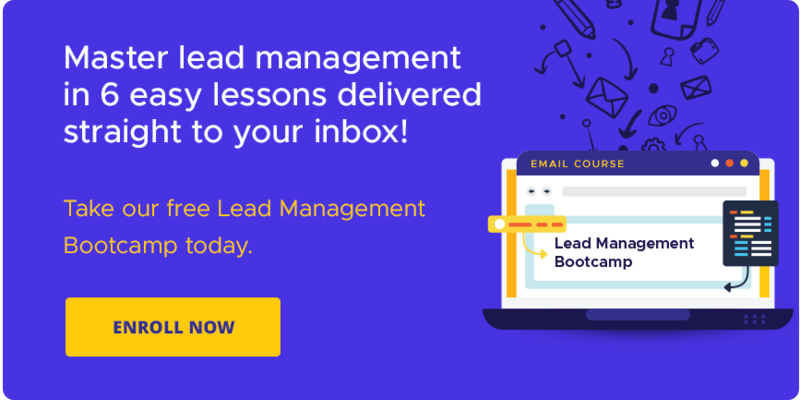 Examples of lead-generation call-to-actions include: “Download a white paper or eBook,” “Schedule a sales demo,” “Join a webinar,” and “Get a quote”. 4. Don’t Rely on Form Submissions Only. Try Live Chat. Adding live chat on website can be very effective in generating incremental leads. According to a LivePerson survey, 21% of buyers cited live chat on a website as a reason for choosing one website over another. At a minimum, make sure your lead capture form is capturing enough information to qualify the interest and estimate the size of the opportunity. Your sales team will be more efficient if they have the necessary data fields to segment and prioritize the leads coming in from your site. Once customer interest has been sparked and they’ve given you permission to contact them, it’s up to you to respond and satisfy the initial itch. If you don’t, then a competitor eventually will. It’s important to have your leads provide some level of attribution back to marketing channels, thus closing the loop between marketing and sales. 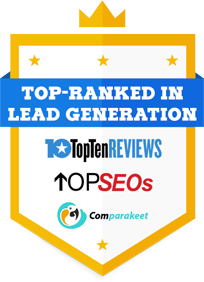 Each lead submission has the potential to append rich meta-data that gets transmitted along with lead and contact information.